There’s an old saying that imitation is the highest form of flattery, and you’d be hard-pressed to find a game that phrase applies more so than Dark Souls. It seems that you can hardly find an action game on any platform now that doesn’t try to emphasize its 'Soulslike' elements, regardless of how apt the description may be. Still, in spite of all the copycats and me-too games, every now and then you come across a game that does feel like Dark Souls, such as Salt and Sanctuary. This title does a great job of capturing that feel of From Software’s popular action series, although it does so slightly unevenly, and feels rather derivative as a result. The story opens rather loosely, the gist of it being that a princess was being ferried from one place to another by ship to strengthen a tense alliance between two nations, when said ship was suddenly attacked by a horde of ghouls led by a Lovecraftian abomination; in the ensuing chaos and shipwreck, your mute character awakens on the misty shores of a pale island. From this point forward, there’s next to no plot development in the conventional sense, as you must piece together the narrative from item and enemy descriptions, location names, and environmental detail. What’s nice about this setup is that it caters to two different audiences; those who like a deep story in their games will delight in making theories and piecing together things by picking up the proverbial breadcrumbs carefully dropped throughout the game’s various systems, but those who don’t much care can just about ignore the plot entirely and happily slice away to their heart’s content. Salt and Sanctuary is a game that champions player choice in just about everything that it does - and this includes the plot, which makes for a welcome and interesting take on storytelling. Gameplay is essentially just like Dark Souls, except on a 2D plane and with a more of a focus on platforming. Your goal is simply to explore the twisted and dangerous game world in pursuit of a murky goal, picking up items and fighting a menagerie of monsters with next to no narrative guideposts to tell you what to do next. There’s nothing stopping you from waltzing into late-game areas as a low-level rookie, but you’ll quickly get hosed by the powerful residents there if you’re improperly equipped, which at least helps to tell you where not to go next. Just about everything you do is governed by an auto-refilling stamina gauge, which depletes in increments when doing things like slashing, rolling, or jumping, and running out of stamina means that you’re left wide open to attack. This is rather problematic for you as the player, as unlike your typical action game, even low-level enemies have the capacity to easily take you down. Enemies in this game hit hard and fast, and enjoy ganging up on you in numbers, which can make it all the more difficult to manage that precious stamina gauge in the heat of combat. Should you fall in battle - and believe us, that’s gonna happen a lot - your character drops all their ‘Salt’ at the place where you died, and it then is either absorbed by your killer or manifests itself as an additional enemy that patrols the area. After your character respawns at the last shrine, you have a chance to make it back to the point where you died and reclaim all that salt at no loss to you. Should you die before then - bear in mind, all enemies respawn when you do - the salt you left is gone forever, and much of your progress goes with it, as salt is the ‘EXP’ used to level up your character and equipment. Sound familiar? It’s a fun system that manages to strike an excellently tense balance, as you grow increasingly more cautious as you accumulate more salt. See, salt can only be 'banked' when you pray at a shrine, and given that these safe zones are few and far between, it becomes a constant game of betting on your own skill. Do you have faith that you can survive whatever may be lurking in the corridors before you, or are you going to play it safe and run back to the last shrine so you can minimize your potential loss? Either way, it’s never going to be easy, especially considering that you could just as easily stumble upon one of the game’s many bosses instead of a safe haven. Though typical enemy encounters are challenging, the real stars of the show here are the game’s many horrifying and difficult boss encounters. These are where everything you’ve learned and all the skills you’ve accumulated will be put to the test, as the many boss fights have nice, long health bars and a slew of difficult-to-avoid attacks that can easily put you in the ground. Just when you think you’ve got a boss on the ropes, they might pull out a new attack you’ve never seen before that sends you back to the shrine. These battles are frustrating, but they also almost always feel fair, which makes it all the more satisfying when that monster you’ve been trying to kill for the last hour finally falls, dropping a huge amount of salt and usually granting you access to a new portion of the map. Traversal is non-linear, and aside from a couple powerups that grant you access to new areas, you can go almost anywhere right from the get-go. As mentioned before, you’ll likely be turned back by the crushing difficulty of certain areas, but there’s nothing in the game design level that’s strictly barring you. Despite feeling quite large, the map is smartly designed to loop back on itself in myriad ways, creating many ‘a-ha!’ moments as you continue your journey. Perhaps you’ll defeat a boss and find an elevator that takes you back to the entrance of its lair that you crossed ten minutes earlier, or you’ll pull a lever which unlocks a door that grants you a quick shortcut between a shrine and a difficult section of a level. The primary issue with this style of map design is that it doesn’t work as well in 2D as it does in 3D. 'Metroidvania' games are famed for having that simple, grid-like map design which makes navigation a cinch, yet no such map exists in Salt and Sanctuary. In fact, there’s no map at all, leaving navigation entirely up to player memory. In a 3D setting, it’s a little easier for this style of world design to work because of the prominence of landmarks, but in the 2D setting, things get muddled together easier since there’s only so much environmental information that can be conveyed in 2D. 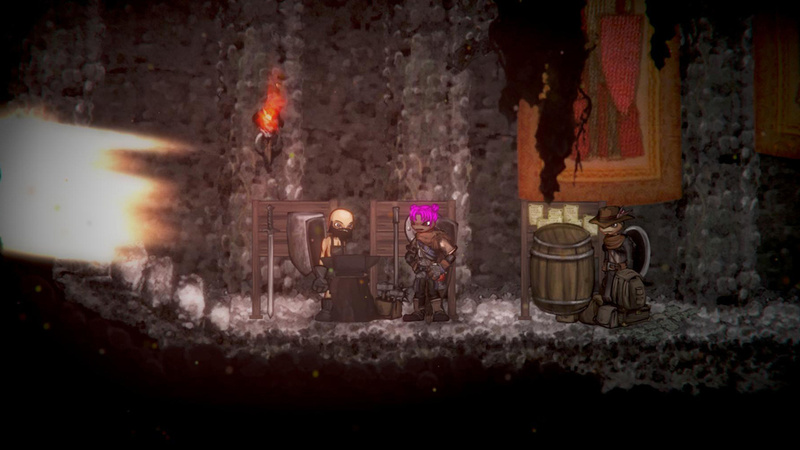 We found ourselves getting lost far more frequently in Salt and Sanctuary than we would’ve liked, something which wasn’t helped by the homogenous look of the locales being visited. 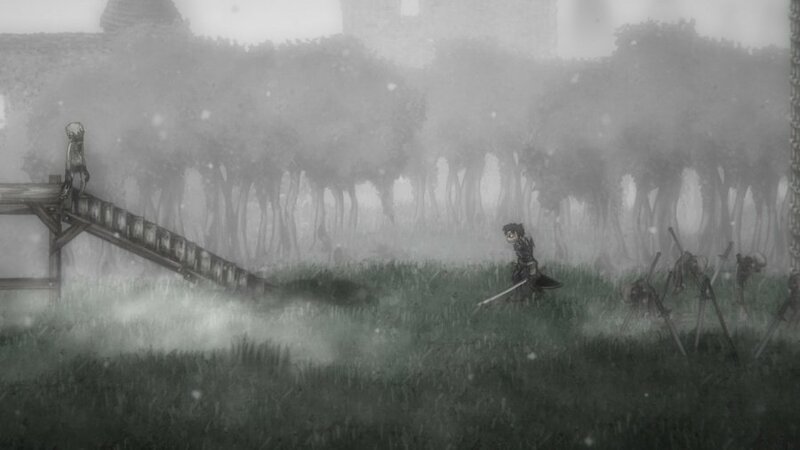 The graphics in Salt and Sanctuary take on something of a drab, watercolour art style; think of it as a more depressing and frightening take on the style seen in Child of Light. Though the hand-drawn look does have its charms, the liberal usage of darkness and the relatively muted colour palette mean that it doesn’t take very long for one area to look no different than the one that you just came from, which eventually leads to a feeling of repetition. Not only does it make things easy to miss - like traps that can take off a decent chunk of your health - but the overall visual style is only interesting for so long until one desires a little more variety. One upside of this style is that the visuals don’t tax the Switch too harshly in portable mode, making for a smooth and seamless experience that matches the docked performance - but it overall seems like an art direction that doesn’t pay off in the long run. So, aside from the nasty boss encounters, looping world design and risk-fraught levelling system, one may ask what Salt and Sanctuary does to carve out its own identity. Unfortunately, not much. One rather interesting idea is the ‘Tree of Skill’ which acts as a large, interconnected skill tree not unlike Final Fantasy X’s Sphere Grid, which lets you spec your character to your exact tastes. Another is the addition of offerings, which allow you to summon NPCs to shrines to unlock features like fast travel, co-op, and a shop. 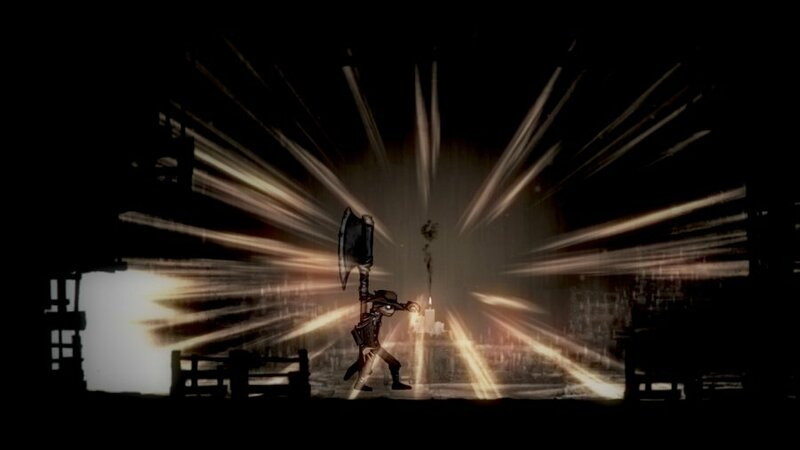 The main issue, however, is that Salt and Sanctuary fails to introduce any notable ideas to the 'Soulslike' formula, other than adapting it to a 2D plane, which means that it can only at best be viewed as equal to its inspiration. The problem with this is that the quality of the gameplay, map and enemy design and story just isn’t quite there, meaning that there’s a running sense of inferiority to the experience. 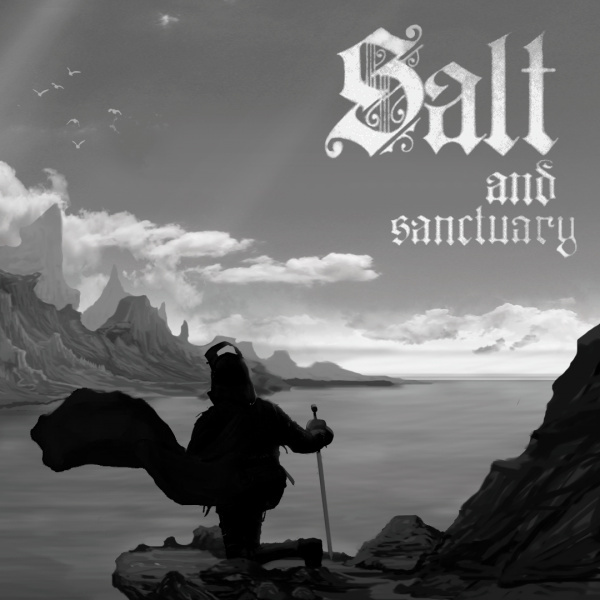 Salt and Sanctuary feels like what would happen if you broke down Dark Souls in detail to a talented designer who had never played it and then asked them to create a 2D action game based on your descriptions; all the necessary elements are there, but they never come together in a meaningful way to make this an experience greater than the sum of its parts. 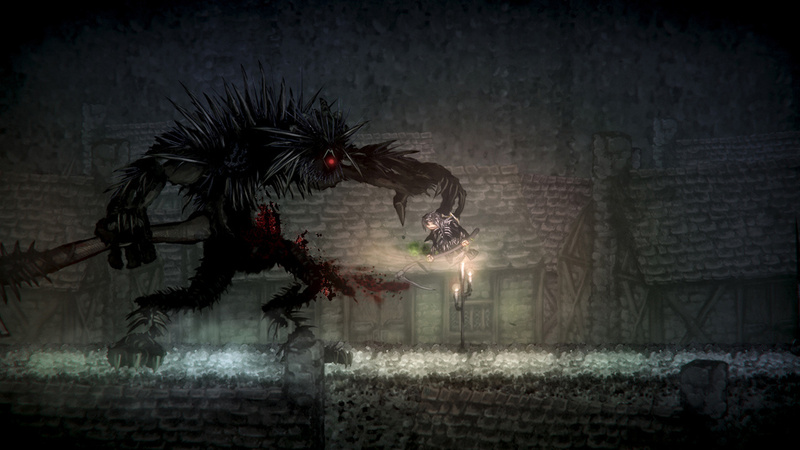 All told, Salt and Sanctuary is just about what you’d expect it to be: it’s more or less a 2D Dark Souls, but with a little more emphasis on less. 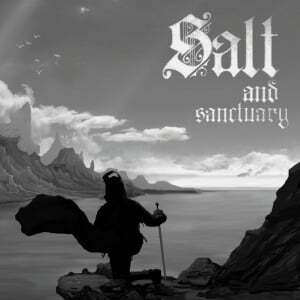 Salt and Sanctuary does an admirable job of hitting all the right beats that it needs to provide a challenging and fun action adventure that will no doubt provide a solid bang for your buck, but it doesn’t do a whole lot to stand on its own two legs; this is a game that can only thrive on the scraps generated by the overwhelming popularity of a much better game series. We’d give this one a recommendation to any Dark Souls fans - this is a decent way of capturing that game’s spirit - but those who’ve never been interested won’t find much new here to entice them. I'm gonna hold out for the physical retail version. Weird, it has a score of 91% on Steam from more than 9000 owners. It’s almost like this was reviewed by someone who just wanted to punish the game for having the Dark Souls essence, while still being unique on it’s own because of that 2D look. THis score seems strange. Already downloaded the game lol. Generally these kinds of games are not my cup o'tea. But I heard a lot of praise for this game and wanted to see how it reviewed. I'm kinda surprised it got a 6... that's the niche score to me... so it's hard to recommend to a newcomer like myself? I'm like @Shiryu, I'll hold out for a physical copy and rent it. PS4 version has an 84 Metacritic score out of 56 reviews. Don’t let this review influence your decision guys, it’s a fantastic game. A little surprised by this score. Haven't played the game myself (intend to sooner or later) but it seems to be really well received in most places I've looked. I'm so used to almsot every game under the sun getting an eight or higher here these days so it's strange to see a supposedly high quality game get a six, haha. Everyone has different tastes though I suppose. Switch version is also getting 8 and 9/10s from other reviewers. I love the ‘Souls’ gameplay mechanics, but I despise the way the story is told. I have only played Bloodborne, but I missed a lot about the game because of the lack of story-telling. I still enjoyed what I played, but I had to consult a wiki to understand what was going on. It only took until I finished most of the game that I realized that I also had to read item descriptions for a lot of the lore. It’s very complex! A logbook of the the notes that are read would be helpful too because they have lots of information when pieced together, but are just so random when first read. It was very difficult to put all the pieces together. Solid 8.5 from me. Much better than a lot of rubbish that receives an 8. This review however only gets a 4, too similar to dark souls review. I’ve heard a lot of good things about this game, but this is actually the first time I see what it looks like... it’s so ugly! I can’t stand the design. Conflicting opinions... hmm, I'm undecided at this stage. But the lack of a map is likely to kill it for me. Endless exploration is bad enough with a map, without one it's torture to me and my backlog. @Denoloco my issue is no map, I hated the original Metroid as wandering around grinding isn’t fun outside of RPG’s. Metroidvania’s need a map. @gcunit Lol we posted the same issue at the same time. @GraveLordXD I don’t need a cutscene every 10 minutes either - I come from the old-school when cutscenes barely existed - but a little organization would be nice. Again, a notebook or logbook I could reference would have helped. Older Resident Evil games did this nicely. Every note you picked up you could look through in a handy notebook. It really helped fill out the lore. Bloodborne just had random notes that may only make sense later. But...since I couldn’t look back at the note I read, I would have to remember where I found it to begin with. It took precious time I really don’t have to put pieces together - and I genuinely wanted to know! I guess my gripe is the lack of organization - though it would have been nice to know that item descriptions were a thing too! Maybe, when Dark Souls finally comes to Switch, I will have more opportunity to invest in the lore than I did with Bloodborne. @HappyRusevDay If I only had one game to play (and the gameplay was decent) then I could embrace the lack of a map, make my own etc. but I have a 21st Century backlog, and roaming around without a clear sense of where I should be going is just an absolute waste of time to me. If enemies respawn every time you return to a room too then that would just knock me down dead. Wow. Dodgy review. This is getting much deserved praise everywhere else. I am on my 3rd playthrough on Vita. Definitely in my top 10 games of the last 30yrs, taking the spot previously held by The Dishwasher (although this has no guitar). Great art, no map needed (if you want your mind blown try googling a map), infinitely customisable. Brilliant. P.S. Charlie Murder sucked. Don't port that....but bring me Dishwasher plz. @Denoloco It's worth keeping in mind that it came out on Steam over 2 years ago, before a bunch of other (often better, imo) Souls-inspired 2D games came out. Obviously doesn't make the game worse, but it's a harder rec in a world where Hollow Knight exists. @gcunit Honestly the map is the sole reason I don't love this game. Having multiple gated areas that you can't keep track of to find later is frustrating. Plus the game is so open that after a certain point it becomes difficult to even google where to go next when you get lost. As the reviewer said, Dark Souls doesn't need a map because it's a 3D game with memorable, visually distinct areas. I'm convinced Salt's devs didn't do a map just because they wanted it to be like Dark Souls, not because it makes sense for the game they were making. This is one review I can't get with. This game was fantastic when I played it. @Denoloco Salt and Sanctuary came out on Steam before Hollow Knight did. Yeah, this review is way off the mark for me. It is easily one of the best indie games of recent years. Played on PS4, great game, more like an 8 or 7.5 at worst. One of the few times I really disagree with the review on this site. I give this review a 5/10. I disagree with the score. My experience with the vita version is that the gameplay is tight and the skill system is dynamic. The reviewer is on point about this game needing a proper map though. I recommend looking up other reviews. No but seriously, this and hollow knight don't play on equal ground. Hallo'nite is more SotN inspired as far as gameplay is concerned. 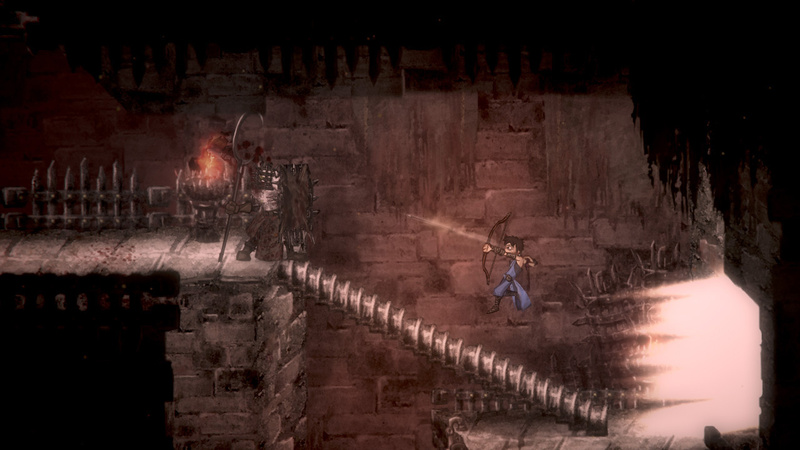 The setting and story are similar in tone to the souls series. S&S, however, at least features multiplayer, character, weapon and armor customization, and all of those fun little micro management things that help (me) stay engaged. So yeah, for those who say "well hello might is better," I have both and they are different enough for me to appreciate them differently. They really do scratch different itches. It's a great game though. I've never played souls games, but I wanted to experience them and love metroidvanias. So the game was great for me. I actually think that is one of the first reviews, where I cannot agree with nintendolife's assessment of the game. This is the best 2D Darksouls games I have played. Its packed full of lore that has to be uncovered. I wouldn't pass on the game based off the number. Is a great lore enhanced walkthrough for those that are on the fence. God, reading all these people complaining about review scores. Not everybody has to agree, people! @boatie But it is a comment section in which to discuss and or complain and disagree just like you are commenting on people commenting so, ok.
Well on this on pre-order for the physical version but I might drop down to just digital as this maybe a game I play for a bit and get frustrated. Hollow Knight is fun and hard enough and it has a map. This is hard and not much direction but doesn't have a map. Sounds more frustrating than it should be. @zionich discussion here mostly being "Everybody else says this is good so you're wrong". Great discussion! I know you should never, ever judge a book by its cover but that art style puts me off instantly. @GraveLordXD Yes, will be out in... October if my memory serves me correctly. review sounds right to me. difficulty that only a teen/college student has time to deal with: check. hell, just add some horribad jumping puzzles and it'll check all the 'dumb things devs do' box. @Hrimfaksi I can see where you're coming from, and I do think a good case can be made for this being a 7. If you ask me, review scores are irrelevant; you can't just quantify art and say it's this much better or worse than others. As always, the content of the review is the most important thing, along with the practice of reading multiple reviews before buying. I adored this on PS4. And I'm not even that big of a Souls fan. Maybe this is just a bad port? Great game play it. Much better than a lot of games that have gotten 8 or 9 on this site. Gotto agree with @Damo that art style really isn't working for it. Feels so early 2000's edgy with cheap DeviantArt character design and poor animation to boot. Since the Switch has an insane library and I've got a 70+ games wishlist, it's a pass from me. Sometimes games just don't appeal to some people, that includes reviewers. I agree with this review, the game just could not click with me when I got the vita version, i think the lack of map had a lot to do with it, but I understand that many people love that. Don't insult the review just because it gives a different opinion from the norm. But do go to metacritic and compare with other reviews to get multiple perspectives. @boatie The better comments at least give reasons though. the art looks trash, but gameplay videos betray that middle school art look in a good way. Yeah, this game is killer, to each their own but...wow. A 6/10, are you serious? I played this on Vita and it deserves at least an 8/10 or even better. The reviewer must have hated this game so much, this can be the only explanation for this low score. Despite all the issues this game has I absolutely love it. The combat feels great and the RPG elements are top notch. This game holds up really well for multiple playthroughs too. And while certain builds are very OP, they're all really fun to play. I bought this last night for my 3rd time for the Switch and just played for a few hours loving every minute of it. I mean, it’s a pretty hard game but I’m blown away so far, and it’s SUPER satisfying to hack s$&t up and watch the blood flow lol! @boatie I guess you can say they are a bit... salty... about the review score. Maybe they are seeking... sanctuary... from the criticism. This review was very well written and it gave me a very clear picture of how the game works. The score itself I do not give a ... Maybe we need a new rating system in which you are forced to give the same score as everyone else and your personal opinion and experience gets censored. @Yasume I was going to say this score seems unusual. This game has gotten tons of praise, as you noted. @Masurao maybe just go with some other sites and not score games anymore. Just a detailed review and people can decide whether it suits them or not. This game takes everything I don't like about Dark Souls and reminds me why I don't like Dark Souls. I know the franchise is popular and there are aspects I do like. But I play games to have fun and be entertained. Games like Dark Souls and this one, which demand so much effort and practice and punish you so heavily if you mess up feel like work to me. While I understand how some people enjoy this sort of punishment and challenge, it's not for me. @Donutman i was going to say unless the switch version has technical issues, this is extremely low. I played the ps4 & vita versions & is an easy 8 (and probably closer to an 8.5 for me because i love the dev's artsyle, which they've also used in their past 2 games on XBLA in 360 days). I'll just have to start looking at the reviewer's names & remember I don't always agree with Mitch Vogul (surely there is more than 1 reviewer here? I'm fairly new to the site). @Masurao some people use the score to evaluate a game, and how review sites stack up versus each other, hence metacritics existence. I personally ignore sites that don't give a numerical score. i think it's fair for most people to expect the numerical score to at least match the same person's own worded review. Some of us use scores to compare to other sites in order to judge accuracy, as is done with all measurements in some form or another. Of course it's going to vary since it's opinion, but as with amazon reviews of products, movie reviews, or anything based on opinion, they usually form a bigger picture & any reviews outside of an established "normal" are usually dismissed. Have you ever considered buying anything on Amazon with a 5 star average, yet you see a 1 star review? Do u take that 1 review over the average & not buy that product? If the reviewers themselves don't think they can do that accurately, then sure, maybe they shouldn't try. @darthmix that's all i can conclude because I'm not a huge souls fan either. I liked it quite a bit on ps4 & vita. The graphics in the vid in eshop look weird, though, especially the colors (& u can't change them on Switch), so maybe that's the case. @boatie i think people are aware, but is the point of a comment section only to agree? If so, you have a much bigger problem than the little bit of disagreement on this site. @twztid13 Exactly. I doubt that anyone will read 3-5 reviews before purchasing a game. A review is always a personal opinion, if you want a more statistically safe bet before you buy a game there is Metacritics. I consider myself a typical Nintendo gamer, who puts gameplay before anything else. But this game, for some reason, I can’t stand its graphic, it’s so ugly! Maybe I will miss out on the gameplay, but I don’t want to torture my eyes lol. @Heavyarms55 I'm not a massive fan of the Souls games, but I feel it's more the sense of accomplishment people go for when playing these kind of games, overcoming a difficult obstacle. It's very rewarding when you do eventually kill that boss after x amounts of attempts in trying to do so. Can't say I agree with the rating, despite the review being accurate in many ways. Yes, it's ugly, yes it's hard until you get good at it, and no, there's no map, but the gameplay was super engaging to me, so much so that my son and I played through it several times in couch co-op on PS4. Maybe I liked it more than I would have if I'd been an extensive Souls player before touching this, but since I've never actually played a Souls game for more than a few minutes and I prefer 2D over 3D anyway, this game hit all the right notes with me. I love games that give the player choice and challenge you to solve its mysteries with little hand holding and this is one of the most choice-filled, lengthy and depth-oozing games I've played in ages. Let the salt from the Hollow Knight fans commence! @Dualmask Agreed! I mean, the game can be AGONIZING when you lose...I'd never touched it til yesterday and I got killed a zillion times trying to figure out The Sodden Knight lol, and that's within the first half hour or so! But, that said, the time that I finally broke through was amazing and from there I got a little further, opened up some secrets & new parts of the map and it felt great. Then, I came into a new area and got 3,000 salt immediately beaten out of me twice, lost it forever, and decided to grind a little bit further back to get some sill points before I head back. Not required, but I figure it'll ease me up a little. Point being...this is a game that I am happy to spend hours in getting beaten to s&$% because it's fun, it's dark as hell, and you feel like a freakin' badass when it clicks just right. I don't really care much about review scores or talking about them either lol...but this one was pretty nuts. This is pretty much the only review lower than an 8.5 I've ever seen. I'll say this though...even in my short time with the game, I had the thought to give up once or twice but I'm SO glad I stuck it out. I'll keep getting better and the reward will be a little medieval bug-eyed killing machine, and it will be awesome. @Fake-E-Lee yeah, I remember the first several times I got trashed by the Sodden Knight. I'm at the point now where the fight is trivial because I learned, and that's what makes the game feel so great. There are lots of genuine surprises in the game, optional fights and missable items as well as the numerous ways you can build your character--anything from being a heavy hitting berserker to a nimble whip-wielding hunter or a spellcaster--all this makes S&S one of the best games I've ever played. I barely remembered the game didn't have a map because exploring the world and learning how it was put together on my own was much more fun. PROTIP: When you find the House of Splendor, go ahead and change your allegiance--Goldenwine is love, Goldenwine is life. @Dualmask Sweet man, thanks for the heads up! Yeah, this game is rad. Yeah, I couldn't stand this one. I have my issues with Dark Souls, too, but I didn't find anything redeeming about how this games was designed. There's barely any story, sure, but I wasn't sold on the atmosphere. The way you recruit shopkeepers and the like just felt like a chore. I HATED the progression system, which just took all the wrong queues from RPGs and made it feel even less actin-oriented than Dark Souls, but it's clearly there to make up for the boring combat system. As it turns out, when you take out an entire dimension of movement from the equation when you're copying Dark Souls gameplay wholesale, you're left with a game that's a lot less interesting than Dark Souls was. Whodathunkit?! Seriously, it's a lame wannabe that's every bit as arduous and unfairly designed as Dark Souls, with simpler gameplay and worse presentation. There's no reason to get this if you have any soft of alternative. Heck, I think there might already be better challenging, exploration-focused platformers available on the Switch right now. Hollow Knight's there, right? I'm usually pretty good at accepting reviews as just someone else's opinions and moving on but having played/beat this game on the Vita it's kind of crazy to see a 6. I'm definitely bias seeing how I love souls-likes and metroidvanias but I think it's at least a 7(it's an 8.5-9 for me personally) overall. I'm actually debating to double dip or not.. normally it wouldn't be an issue but there's a lot of games coming to the switch these days.. and I feel like I should buy games I don't own on different platforms. It's made by a husband and wife team so I think anyone that appreciates that kind of thing should support them.. it's probably going to be the reason I double dip! So from everything I've heard the port is actually fine. This reviewer just didn't care for the game. Which is also fine. I played the crap out of this on PS4 so I probably won't double dip. But if you didn't, and a heavily souls-like metroidvania sounds interesting to you, for real give this a try. I think you are in for a treat. @Imerzion yeah I get that. I just don't enjoy that journey. Fighting the same thing 15 times gets annoying. Surprised by the score, but respect it. Personally I'm not a huge fan of the art style but it still looks like a good and creative game. I was expecting an 8 or at minimum 7 review score here but it's nice to be surprised. This game gets better by the second, I can’t say anything cause I’d spoil it but....wow, my jaw has stayed on the floor and it KEEPS opening up. You don’t NEED a map, trust me. Just dive in, die enough times to thicken up your skin, and then destroy. @Damo @switchvogel @Voodoo @twztid13 @Yasume Technically there's nothing wrong with this review, he gives a detailed breakdown in every area of the game from the positive to the negative. I think you guys forget that reviews are opinions and not everyone thinks highly of the same games that other people do. Just look at the total opposite end of the spectrum on opinions for games like Hollow Knight and octopath traveler where some people praise and love the games while others trash them and think they're terrible. I and many others agree with this review and I'm a fan of dark souls and put 80hrs into hollow knighr and had a blast. However I found this games progression system awful, gameplay uninspired, no map made it feel like I was wasting a lot of my time and the graphics were just plain ugly. I think people need to stop taking reviews that don't agree with their views so personal, like they insulted you or something lol..
Btw suggesting to fire someone over the quality of this review in particular is apalling & just plain ridiculous. Well, having struggled with the first boss I must say that this game has to be one of the very best on the switch !! It convinced me to buy the dark souls remastered on ps4 as it was cheap locally to see what it was like and now can't wait for it to arrive in October on switch. This game really rewards patience and levelling up. Spent about ten hours levelling up but it was worth it. Such an addictive game and definitely one worth purchasing. What a steal at the price as well !!!!!! Enjoy people, this game is absolutely amazing. I learnt along long time ago to ignore people's reviews to a degree. The reviewer might be a FIFA fan and have no Interest in this type of game at all. So he may have a quick look , fly through a bit and think rubbish game , don't like it, rubbish graphics etc etc. I go to the pub occasionally with my dad. He drinks bitter, I drink cider, I don't like bitter so does that mean it's rubbish and awful? No, it's my opinion. Same goes for game reviews. I have to say in terms of story telling it does allow for more speculation at first. However, after beating the game multiple times on steam and now about to play it on my switch I'd say the story and lore is some of if not the best I've read or experienced. The world in this game is nothing but conflict. If you have played it like you say and realize that there is a lot of the story connected to the weapons alone then I suggest you read "The Drowned Tome". This is a PDF that collects the lore and establishes a solid understanding of this messed up world. It's truly an impressive story that is told. I not only implore but, BEG you to read it. I couldn't put it down. Reading it made me replay in classes that you could say exist in the world such as the bloodbrow, paladin of devara, or a godless Iron One's follower. I also say everyone on this comments section should check out the PDF of "The Drowned Tome" if they can. It's not a long read. And anyone who's beaten the game at least once I believe could appreciated it! I started playing last night and for me it's at least an 8, bordering on 9/10.